Photo: Primary school north of Anjara town, Aleppo governorate, hit by suspected Russian air attack killing eight children, 11 January 2016. Committee Room 7, House of Commons, Westminster. Marcell Shehwaro of Kesh Malek (Check Mate), on running schools in rebel-held Aleppo. Heba Ajami, on the state of the education system in Syria. Chaired by Tom Brake MP. A Save the Children report on education in Syria published in September 2015 found that 3 million Syrian children were not in education, that 25% of Syria's schools had been damaged or destroyed, and that over four hundred teaching staff had been killed. The majority of the destruction is caused by aerial bombardment. This event will be a rare chance to hear directly about the difficulties of running schools under these most hostile conditions, where schools have to go underground, and teachers have to preserve anonymity for fear of reprisals. 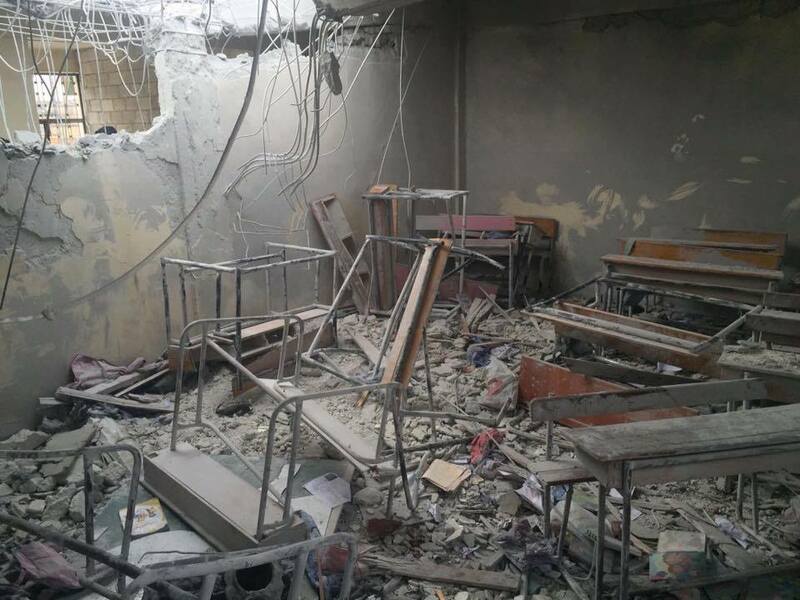 Read more on Syria’s schools under bombardment.